The most useful thing a person can do in this world is to create ethical employment in a business environment which respects everything we hold important: Our people and our planet. At JoJo we believe in putting People and the Planet above Profit. We do this within the confines of being a commercially viable business. We are not tree huggers, we are a business that needs to remain competitive and have mass appeal. But it is possible to look at the world through this mantra, making decisions which do not always relate back to improvements in the bottom line profit. This is not a marketing ploy; it’s who we are. This is the ethos under which the business was launched, and how it continues to be run today. We have proved you can do well, whilst doing good. Hurrah! 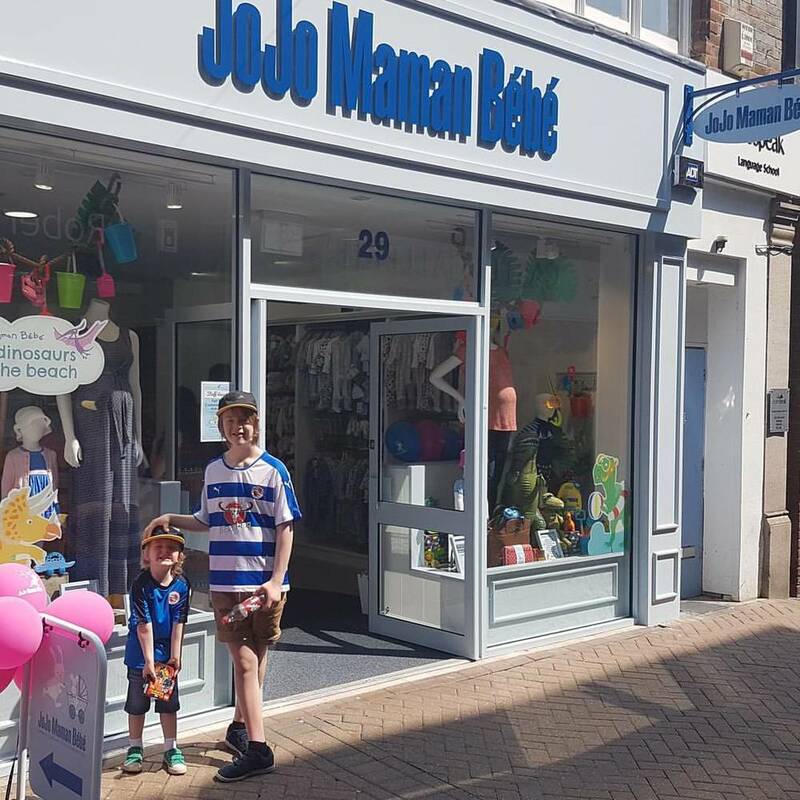 Reading finally has a JoJo Maman Bebe store which I can spend all my time and money in. I am lucky really that Rocky only has a few more years of fitting into their beautiful garments as I think I'd be skint quite quickly. When I had a little nudge in my inbox about the store opening, I quickly got on to the local gossip girls Facebook groups and explained that they were doing some opening week offers. They were offering customers a lucky dip in which they could gain anything from money off to free gifts. A friend of mine went in and bought all of her daughter's birthday presents and got 50% off! She was over the moon, it saved them so much money. I couldn't have been more pleased. The store is in a very well used side street down the side of John Lewis. It is clean, bright and has great curb appeal. It was very busy during the opening week and I expect it to stay busy in the months to come. The yellow fisherman's jacket I fell in love with in store has become a talking point amongst friends online and at school. It is perfect for the September school starters like Rocky, as the new daily journey to school can often be a bit wet. It looks perfect with Red wellies if you want the full blown Christopher Robin look. It's soft, light, dry and looks cute, what more can you want?